I was so excited to get this book and start reading it. 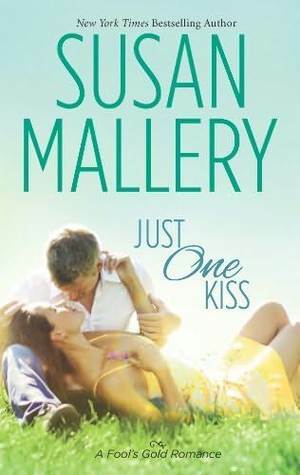 I was just about bouncing in my chair, as I am a huge Susan Mallery fan and have been for years. This chapter in the Fool’s Gold saga is about Patience McGraw, a hometown girl who was in love with a neighbor boy back in high school. When said boy disappeared without a trace she was heartbroken as only a fourteen year old girl can be. She moved on with her life and ended up pregnant out of wedlock and then married to her baby daddy. That marriage soon fell apart and she she ended up raising her daughter alone after the father waived his parental rights. Then the unthinkable happens….Justice comes home. Justice Garrett always regretted leaving the way he did. He missed Patience and thought about her for years. His decision to move back home after his career in the military was based on Patience and his need to reconnect with her. He is going to open a business with another hometown boy, Ford Hendrix and a man named Angel. Watching he and Patience rekindle their friendship was precious. These two characters really cared about each other. This did drag a little in the middle for me which is shocking because I LOVE this series. I want to move there and never leave, except to maybe vacation in Lucky Harbor or Virgin River. Once this book got back on track for, it was full steam ahead. You need to read this latest installment and if you have never read this series, get started because it is fantastic. My only other complaint is that she has turned down the heat in the last two books. Not a fan of the heat getting turned down at all. Sounds like one I'd like to try. Is it a stand-alone or do I need to start at the beginning of the series? I think it would be best to start at the beginning and the library should have them all.